Even before Donald Trump was announced the winner of the 2016 presidential election, many Americans have been wondering what a Trump presidency would mean for immigrants -- particularly those who are undocumented and living among us. When Trump became president-elect, fears of mass deportations and misinformation quickly spread across social media, even causing the Canadian immigration website, full of American residents researching the process of leaving the country, to crash. During an interview with Lesley Stahl on 60 Minutes recently, president-elect Trump responded to questions about immigration by taking an adjusted stance from what he had promised on the campaign trail. The rhetoric was toned down from many of his speeches on the campaign trail, where on several occasions he called for immediate deportation of all of the suspected 11 million undocumented immigrants living in the United States. Immigration has long been an important issue in Finney County, where the most recent census data shows 48.6 percent of the roughly 27,000 residents in the county seat of Garden City are Hispanic or Latino, the result of several decades worth of immigration from Mexico and other countries in Central and South America. The true population could be even higher, as undocumented immigrants are unlikely to participate in the survey. Trump’s proposals have raised many questions. What will become of those undocumented immigrants under a Trump presidency? Will they be targeted, and if so, how? And how exactly would these deportations be carried out? Whether Trump implements his new plans of deporting just criminal aliens, or reverts to his hardline stance of seeking to remove all undocumented immigrants from the U.S., Garden City immigration lawyer Eloy Gallegos says it would take a lot of time and resources to carry out either initiative. There is a system already in place for deporting undocumented criminals, and as of now, it is limited to when an illegal immigrant commits a felony or violent crime. In a campaign speech in Arizona on Aug. 31, Trump said he will give local law enforcement the power to detain and deport. Utz said that he will be careful about changing any current policing policies in Garden City without seeking legal counsel. The risks for holding someone for Homeland Security fall on local government, not the federal level. If Homeland Security asks to have an undocumented immigrant detained for deportation, but fails to come pick up that individual within a certain legal time frame, local authorities are required to release that person. Gallegos continued by saying that most of these undocumented workers are not picked up by Homeland Security. It is simply too expensive to come all the way to Garden City to pick up one or two people. This backlog is still at the most efficient the system has ever been. Since 2013, more than 530,000 people have been deported under the Obama administration. Since Obama took office in 2008, he has deported 2.5 million, more than any president in history. The plan Trump presented at the August Arizona rally would seem destined to exacerbate the backlog problem, without changes to the current deportation system, like adding officers, courts and prisons. Non-violent undocumented immigrants Talking to 60 Minutes, Trump added that after the 2 to 3 million criminal aliens are deported, he would shift his focus to the remaining millions of undocumented immigrants living in the United States. Kansas Secretary of State Kris Kobach, who previously had been named as a potential Trump pick for U.S. Attorney General, did not return calls seeking comment for this story. But speaking with FOX News last week, Kobach said he would like to see an enforcement crackdown tough enough to convince undocumented immigrants to voluntarily leave. Kobach was the author of the controversial Arizona 2010 SB-1070 law, which allowed law enforcement to demand to see the papers of anyone they suspected of being in the country illegally. Many critics of the law said it encouraged racial profiling. When asked how his office would fight to uphold the constitutional rights for documented and undocumented immigrants from laws like Arizona SB-1070, the office of Kansas Attorney General Derek Schmidt issued a statement saying that the office refuses to speculate on hypothetical situations. Gallegos is skeptical there will be raids and mass deportations in Garden City, but said it is possible, and that undocumented immigrants need to have a plan. Talk of mass deportations oftentimes leads local residents and officials to question how such a policy might affect the Finney County and southwest Kansas economies that many believe depend somewhat on undocumented immigrant labor. Finney County Economic Development Corp. President Lona DuVall said that determining the exact impact is impossible because it is unknown how many undocumented immigrants are in the local workforce. Gallegos adds that undocumented immigrants have roots in the economy, and he believes the Finney County economy would take a hit if mass deportations occurred. Sister Janice Thome, of the Dominican Sisters Ministry of Presence, helps the poor, which in Garden City includes undocumented families. She said many immigrants are afraid of mass deportations. Thome adds that she is hopeful that Trump’s recent comments are a sign that immigrants in Garden City should not fear extreme measures. 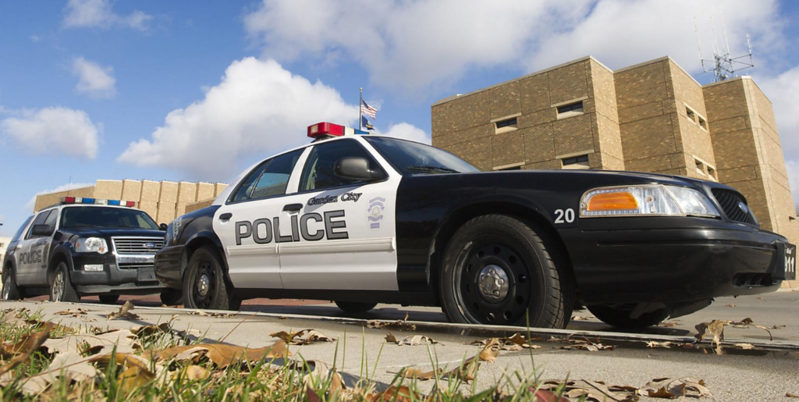 The Garden City Police Department is taking steps to educate the public about its true role in enforcing immigration law, and how police are not a deporting force that undocumented immigrants should fear. This education is happening in diverse neighborhoods during monthly community meetings, and when Utz meets with community leaders. Misinformation about law enforcement, immigration laws and constitutional rights are rampant in the aftermath of election season. It also remains uncertain exactly how President-elect Trump will proceed with immigration reform. Gallegos said everyone needs to critically analyze what they hear about immigration, and know their rights as someone living in this country.